Glenn Waters' custom art knives are crafted from high performance materials with a functional, unique aesthetic. The Kiba II is equipped with a stout blade, featuring smooth bearing-fueled deployment and dependable lockup. A grooved pattern along the lower half of the handle offers a sure grip and an eye-catching design enhanced by a variety of handle materials. 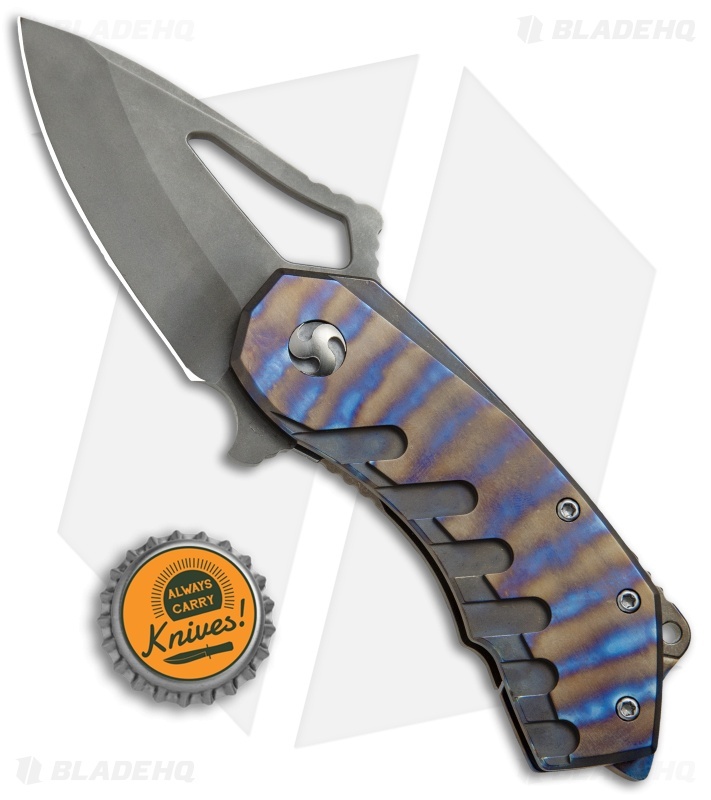 This one of a kind custom has an Elmax blade with jimping on the spine and flipper tab. 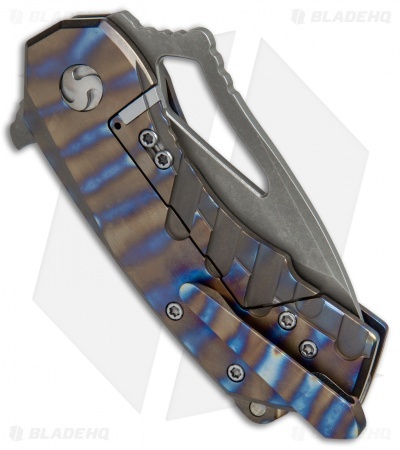 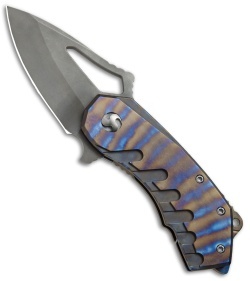 Its handle is flamed titanium with a matching backspacer and a deep carry pocket clip. 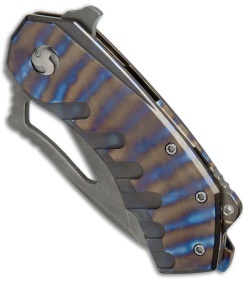 Comes in a padded zipper pouch with certificate of authenticity.